Union County received South Carolina State MassTransit Funds from the South Carolina Department of Transportation to conduct a Transit Feasibility Study. Elements of the plan include evaluating transit needs, considering alternatives, and recommending an implementation plan if a transit program is considered viable. Jobs and job-related training transportation and rural public transit opportunities will be reflected in the study along with applicable transit funding possibilities and requirements. 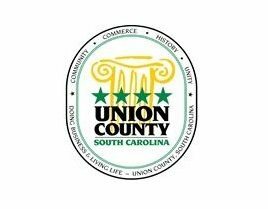 During December, residents may complete a paper survey at the Union County Courthouse, SC Works Union, and the Chamber of Commerce or an online survey by visiting www.countyofunion.org. A Transit Feasibility Study Steering Committee is assisting with the transit study and includes representatives from service agencies, local organizations, businesses, and industries. AECOM Technical Services of SC is developing the Transit Feasibility Study for Union County, which will be complete in 2018.